In 2009, with the dust yet to settle on the financial crisis, a baby-faced, seemingly mild-mannered Wharton grad began setting in motion a fraud of unprecedented gall and magnitude - one that would come to symbolize the next great threat to the global financial system. His name is Jho Low, a man whose behavior was so preposterous he might seem made up. 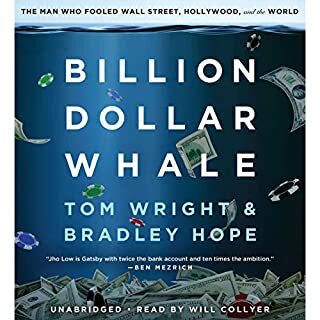 An epic true tale of hubris and greed, Billion Dollar Whale reveals how this young social climber pulled off one of the biggest heists in history. 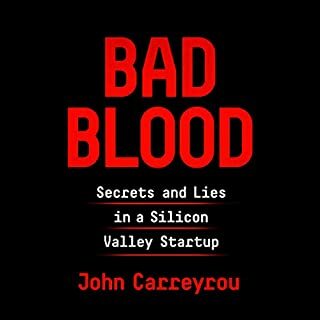 In 2014, Theranos founder and CEO Elizabeth Holmes was widely seen as the female Steve Jobs: a brilliant Stanford dropout whose start-up “unicorn” promised to revolutionize the medical industry with a machine that would make blood testing significantly faster and easier. Backed by investors such as Larry Ellison and Tim Draper, Theranos sold shares in a fund-raising round that valued the company at more than $9 billion, putting Holmes’ worth at an estimated $4.7 billion. There was just one problem: The technology didn’t work. 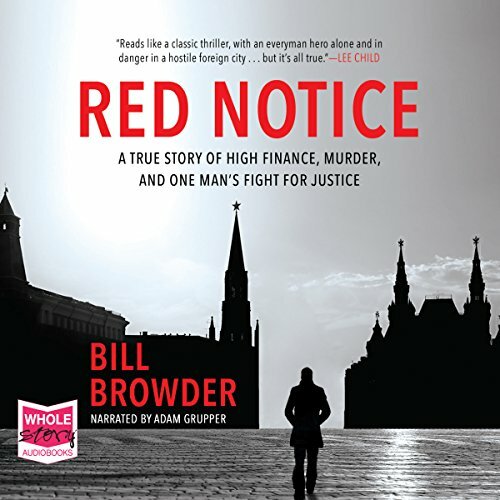 Red Notice: A True Story of High Finance, Murder, and One Man's Fight for Justice by Bill Browder is a unique story that blends biography, entrepreneurial business narrative, history, true crime, and a human rights crusade all into one book. 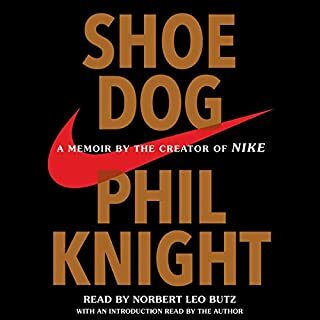 In this candid and riveting memoir, for the first time ever, Nike founder and CEO Phil Knight shares the inside story of the company's early days as an intrepid start-up and its evolution into one of the world's most iconic, game-changing, and profitable brands. 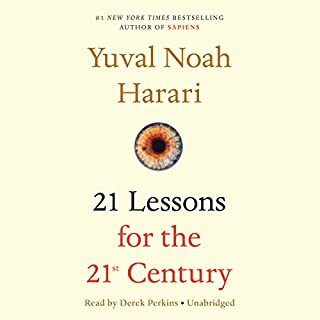 Yuval Noah Harari's 21 Lessons for the 21st Century is a probing and visionary investigation into today's most urgent issues as we move into the uncharted territory of the future. As technology advances faster than our understanding of it, hacking becomes a tactic of war, and the world feels more polarized than ever, Harari addresses the challenge of navigating life in the face of constant and disorienting change and raises the important questions we need to ask ourselves in order to survive. Factfulness: The stress-reducing habit of carrying only opinions for which you have strong supporting facts. When asked simple questions about global trends - what percentage of the world's population live in poverty; why the world's population is increasing; how many girls finish school - we systematically get the answers wrong. 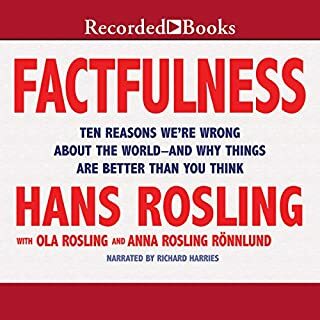 In Factfulness, professor of international health and global TED phenomenon Hans Rosling, together with his two longtime collaborators, Anna and Ola, offers a radical new explanation of why this happens. In his provocative new book, Dr. Kai-Fu Lee - one of the world’s most respected experts on artificial intelligence - reveals that China has suddenly caught up to the US, the leader in AI, at an astonishingly rapid pace. Building upon his longstanding US-Sino technology career (working at Apple, Microsoft, and Google) and his much-heralded New York Times Op-Ed from June 2017, Dr. Lee predicts that Chinese and American AI will have a stunning impact on not just traditional blue-collar industries but will also have a devastating effect on white-collar professions. In just a decade and a half, Jack Ma, a man from modest beginnings who started out as an English teacher, founded Alibaba and built it into one of the world's largest companies, an e-commerce empire on which hundreds of millions of Chinese consumers depend. Alibaba's $25 billion IPO in 2014 was the largest global IPO ever. A Rockefeller of his age who is courted by CEOs and presidents around the world, Jack is an icon for China's booming private sector. Strange: Best part of story happens "off-screen"
Physicist and entrepreneur Safi Bahcall reveals a surprising new way of thinking about the mysteries of group behavior that challenges everything we thought we knew about nurturing radical breakthroughs. Drawing on the science of phase transitions, Bahcall reveals why teams, companies, or any group with a mission will suddenly change from embracing wild new ideas to rigidly rejecting them. With authoritative reporting honed through eight presidencies from Nixon to Obama, author Bob Woodward reveals in unprecedented detail the harrowing life inside President Donald Trump’s White House and precisely how he makes decisions on major foreign and domestic policies. Woodward draws from hundreds of hours of interviews with firsthand sources, meeting notes, personal diaries, files, and documents. The focus is on the explosive debates and the decision-making in the Oval Office, the Situation Room, Air Force One, and the White House residence. Unfolding the delicious three-way gamesmanship between America, Britain, and the Soviet Union, and culminating in the gripping cinematic beat-by-beat of Oleg Gordievsky's nail-biting escape from Moscow in 1985, Ben Macintyre's latest may be his best yet. Like the greatest novels of John le Carré, it brings listeners deep into a world of treachery and betrayal, where the lines bleed between the personal and the professional, and one man's hatred of communism had the power to change the future of nations. The Age of Surveillance Capitalism is neither a hand-wringing narrative of danger and decline nor a digital fairy tale. Rather, it offers a deeply reasoned and evocative examination of the contests over the next chapter of capitalism that will decide the meaning of information civilization in the 21st century. The stark issue at hand is whether we will be the masters of information and machines or its slaves. In Super Bowl XLIX, Seahawks coach Pete Carroll made one of the most controversial calls in football history: With 26 seconds remaining, and trailing by four at the Patriots' one-yard line, he called for a pass instead of a handing off to his star running back. The pass was intercepted, and the Seahawks lost. Critics called it the dumbest play in history. But was the call really that bad? Or did Carroll actually make a great move that was ruined by bad luck? Even the best decision doesn't yield the best outcome every time. Goldgräberstimmung in Moskau nach dem Zerfall der Sowjetunion: Die Oligarchen sichern sich die Pfründe und machen ein Vermögen. Der Amerikaner Bill Browder nutzt die Gunst der Stunde und investiert in aufstrebende Unternehmen. Doch dann kommt er Putin in die Quere: Er wird erpresst, verfolgt, das Leben seiner Familie wird bedroht. In einem Rechtsstaat kann man sich dagegen wehren. Aber nicht in einem Russland, wo Willkür und Tyrannei herrschen. Award-winning investigative journalist Evan Ratliff presents the incredible true story of the decade-long quest to bring down Paul Le Roux - the creator of a frighteningly powerful internet-enabled cartel who merged the ruthlessness of a drug lord with the technological savvy of a Silicon Valley entrepreneur. Ray Dalio, one of the world's most successful investors and entrepreneurs, shares the unconventional principles that he's developed, refined, and used over the past 40 years to create unique results in both life and business - and which any person or organization can adopt to help achieve their goals. Late one evening investigative journalist Bastian Obermayer receives an anonymous message offering him access to secret data. Through encrypted channels he then receives documents showing a mysterious bank transfer for $500 million in gold. This is just the beginning. Obermayer and fellow Süddeutsche Zeitung journalist Frederik Obermaier find themselves immersed in a secret world where complex networks of shell companies help to hide people who don't want to be found. Finally, the details of this story connected! November 2009. Sergei Magnitsky is led to an isolation cell in a Moscow prison and beaten to death by eight police officers. His crime? To testify against the Russian Interior Ministry officials involved in a conspiracy to steal $230 million in taxes. Magnitsky’s brutal killing has remained uninvestigated to this day. Red Notice is a searing exposé of the Russian authorities responsible for the murder, slicing deep into the heart of the Kremlin to uncover its sordid truths. This book is extremely informative and its history is still alive. Our recent story from a privileged point of view. I'm not saying that the last chapter brought a tear to my eyes... Well that's exactly what I'm saying. Excellent read and chilling story. reads like fiction, cracking story. sad tale off murder that shouldn't even be real but it is. While this books starts as an engrossing business book and morphs into a nail-biting fight against corruption in the russian govenment, the emotional punch comes when the authors friend and lawyer Sergei Magnitsky is killed by the Russian authorities, for his role in uncovering their theft of millions of dollars from teh public purse. The last third of the book details Bill Browder's noble efforts to clear his friend's name and hold the perpetrators accountable, at great personal risk to his own safety. The story of how the European parliament applauded him and Magnitsky's family when they attended a vote on the legislation that was made in his name to combat corruption, despite last minute Russian attempts to thwart it, brought me to tears. This book is enlightening, thrilling and deeply moving. I continue to follow Bill Browders fight against corruption in the Russian government and its links to the Trump administration and the Mueller investigation and now the Swedbank scandal - - the story continues. This is an amazing but chilling story about how Bill Browders became Putin's enemy by exposing the corruption of his regime. Everyone interested in the truth about Putin's Russia must read this book. Loved it, very well narrated. Very heart warming, and poignant. I would recommend this book for anyone interested in international affairs. Real world economic theft and underground spy thriller. Best book of the year for me! This book is one of the most interesting books I have read in a long time, and far more than just a biography. The background information about how the banking system and investment funds work is fascinating, and the insight into the Russian way of 'banking' and politics is eye-opening and downright scary. Disbelief and amazement describe this part of the book. The personal story of the author and his fight for justice for his friend, and his achievements in this fight were what made me cry on several occasions. 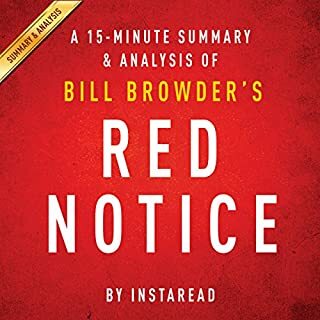 I am glad that I bought the audible version of the book, as I particularly enjoyed listening to Bill Browder himself reading out the last chapter. It made the whole experience of the book far more personal. All in all I would say this is a must-read for anybody who is interested in our modern world of finance and politics, as it gives an insight to what goes on behind the scenes, and it also shows what one man with determination and perseverance can achieve. absolutely shocking the level of corruption in 'modern' day Russia. This audiobook details state sponsored theft in alarming detail, naming the individuals responsible for murder, embezzlement and corruption. I hope some day there will justice. A genuinely moving true story of how a corrupt regime will go to any length to steal money and undermine judicial systems to cover it up and murder a very brave man who would not be intimidated to change his testimony to suit their purposes. I never thought I would feel an ounce of compassion for either lawyers or financiers but I was wrong. This is a 'can't put down' listen. If only half of it is true then I am afraid it is a shockingly sad indictment of government cruelty. Excellent narration by Adam Grupper. This book reads as if was a fictional crime novel but it's one of the hardest hitting pieces of non-fiction you'll ever read (listen to). The stories of corruption and personal accounts of those fighting it are so moving it brings tears to the eyes. Where does Red Notice rank among all the audiobooks you’ve listened to so far? What other book might you compare Red Notice to, and why? Which character – as performed by Adam Grupper – was your favourite? No, good to delve in and out. Quite a lot to take in. A must read..... intriguing, a world of Russian corruption. Bare with it and it will provide. I must say that about half way through I really considered leaving this book unfinished. And only the fact that I don't usually do that made me continue. In the beginning I thouhht this guy so full of himself. The book was like an autobiography of a grown child. I did this, I dealt with that guy. He was part of a group of scavangers who did all they could to extract as much money as possible from the countries from the fallen Soviet Union. And he somehow tried to show us how bad the russians were, how loose their women were, how bad their leaders were and so on. The hipocracy was palpable. And yet, when Sergei Magnitski comes in the story picks up. From the on it was amazing, in a terrible way. The story itself is hearthbreaking and full of twists. Kudos to Browder for keeping up the fight and sticking to his beliefs that something must be done. It's worth finishing it. And it has plenty of insides of how the post-Soviet Russia operated in some areas. Exciting, Surprising, devastating AND hopeful. A must-read. A twisted tale simply written. Style is visual without being flowery- perfect for audible. And they cast exactly the right voiceover guy . You will stop what you’re doing as you listen. Your heart starts beating faster and yet you can’t move until you find out what happens next. And because it’s true, you will cry. And then you’ll share it with a friend. Because you will want other people to know what you’ve just experienced. This book is beyond normal comprehension of how Russia works giving further insight to wealth, corruption, international politics, evil, integrity and strength. You will be equally shocked, shamed, fearful and inspired. Such an amazing story. I have no words to describe the selfishness of the corruption in Russia. What an incredible and amazing true story! Truly a must read/listen! Plenty of jaw-dropping and on the edge of the seat moments. The story gets better and better, all the way to the last sentence. Wow! Absolutely amazing story. Although it is all well documented fact, it reads and plays like fiction novel. Well worth the download. A tragic tale that makes you understand Russia in a way that is horrifying and eye opening. All the more horrifying as it describes events that are so recent. So sad to see an amazing country robbed and manipulated by so many villains and the corruption going all the way from the police and prison officials to the tax office and all the way to the top. This book is a real eye opener. Unbelievably credible and that means it's highly likely to be true. I've been recommending it to everyone I meet. What struck me most was the courage of the author, firstly for setting up his business the way he did, and stepping over every obstacle that got in his way. Anyone starting up would do well to study Bill Browder. But that was nothing compared to his determination to pursue justice for his friend who died in Russia. What an inspiration. A friend of mine recommended this book to me. I was mesmerised not only by the well-written nature of this story, but also by the fact that it was non fiction: an account of real world political intrigue and injustice. Highly recommended reading. Fantastic story of the level of corruption achievable when it comes from the very top. A devastating book detailing the true nature of Putin's Russia. It's a must read....you won't be able to put it down.